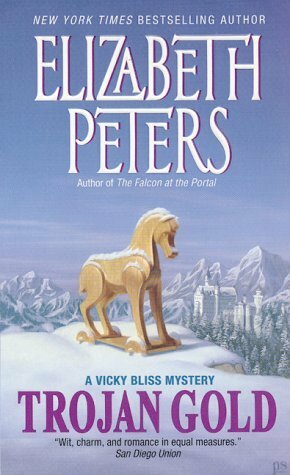 The fourth Vicky Bliss mystery book. Vicky Bliss works for Professor Schmidt at the Munich National Museum. She’s also a part-time sleuth and Schmidt loves to take part in her cases. It’s been some months since their last case in Sweden and they don’t know if Vicky’s mysterious sometime-boyfriend John Smythe, who is also a gentleman thief, is alive or not. In fact, Schmidt has even erected a statue for Smythe’s memory. Then someone sends Vicky a picture of Frau Schliemann who is wearing the Troyan gold jewelery her husband found. And yet, on closer inspection the woman isn’t Mrs. Schliemann and the picture is much more current. The envelope has a large stain of blood but no return address, no notes, no letters. The gold vanished during WW II and Schmidt is increasingly convinced that now he and Vicky have a way to find it. Then a mysterious man follows Vicky. Many of Vicky’s old friends (or ”friends”) turn up. Tony, the arrogant historian and Dieter the practical jokester are both fun but they both just assume that Vicky is sexually available for them. Luckily, Vicky is a tall and strong woman who can handle herself. Schmidt is in top form here, trying to sneak around and shadow people in increasingly ludicrous outfits. The setting is around Christmas time and the book has a couple of nice descriptions of the German festivities in the nearby Bad Steinbach. This is a fun, at time farcical, story. The mystery isn’t as dominant as the jokes and witty dialog. It’s the fourth book in the series and I recommend reading the previous books first. While I personally like the early Amelia Peabody books the best (so far) I do enjoy the Bliss books a lot, too. 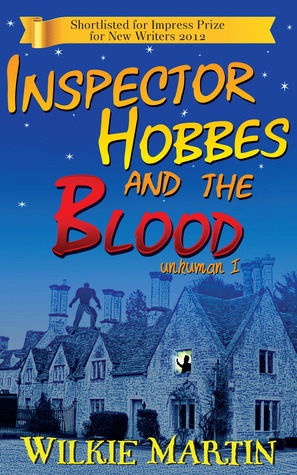 A historical murder mystery set in the year 512. Page count at GoodReads: 96 including a small glossary and a short explanation about the times. Argolicus, a former Roman magistrate, has returned home to a villa near a town called Squillace. His uncle Wiliarit, who is a monk, comes to see him and his mother. However, soon Wiliarit and Nikolaos, who is Argolicus’ tutor slave, come across a body at a nearby meadow. The body has a violet head injury and was murdered several days ago. Only a distinctive ring reveals that it is Argolicus’ former friend Lucas. Lucas and Argolicus were friends in childhood but Lucas’ father doesn’t like Argolicus and his family because he considers them heretics. So Bartholomaeus forbade the boys to see each other. However, Lucas’ death is a blow to Argolicus. Argolicus tells Vibius Horatius Bartholomaeus that his son is dead. During the visit he realizes that Bartholomaeus will not answer any questions that Argolicus has. However, Lucas’ sister gives Argolicus a small note and says cryptically “They are lying.” Later, the sister reveals that when Lucas left, he took with him a jewel encased icon from the local bishop’s vault where it was held for safekeeping. The icon was technically his but Bartholomaeus was furious. Argolicus has a difficult investigation ahead, especially because the culture considers murder a family matter. Slavery is still in full practice; the Churches and people own and use slaves. The schism between the two families is about religion: today, Argolicus’ family is called Ostrogoth, Arian Christians. In the whole country Ostrogoth’s culture and religion is the one in power but in this part of the country the Trinitarians are in power. The characters talk a bit about this divide and we also get to see other fascinating cultural differences to modern times. And of course similarities as well. This was a nice little mystery. This time the pool of suspects is quite small and Argolicus doesn’t have ready access to them, except Lucas’ sister who asks for his help. Unfortunately, the book has some editing errors. Otherwise, it was quite an enjoyable read. For about a day, you can join the Kickstarter project to fund a novel length Agrolicus mystery, the Grain Merchant. Gaius Vitellus Argolicus is a former Roman praefect, known for his careful study of people and places which lead to fair judgments. However, he’s not good a politics and so he leaves Rome and returns to countryside. His old friend asks him to take a book to a scholarly young man. The man, Philo, lives along Argolicus’ route, so he decides to visit Philo’s family. However, when Argolicus arrives, he finds that the house is in disarray because Philo’s father has been murdered. Servius Norbanus Pius was a man who didn’t care for the new king Theodrick’s reign and the way the king appointed new men in positions than had been long held by the sons of old Roman families. He had inherited a very profitable shipping business so his murder could affect a lot of people. Argolicus decides to investigate together with his mentor and slave Nikolaos. However, they have only a couple of days to investigate before their ship leaves. Pius’ family tells that he was a dutiful father and husband but he spent a lot of time away from his family. He tried to mold his scholarly son into his image but Philo isn’t like his father. Pius’ brother runs the shipping business and lives in the nearby harbor town of Portus. Pius was the paterfamilias, the highest-ranking male who decided everything for his family members. Philo’s sister Titiana seemed to have been on the edge even before their father was murdered. The short book is meticulously researched. This is the time when Rome is ruled by the Ostrogoths and the patricans, of course, resent that. I don’t remember any other books set in this time. Under Roman law, a murder is a family matter and it’s up to the family to find the murderer and then sue them. Agrolicus can’t help them officially, just as a favor. The writing is a bit awkward at times but otherwise very readable except for some editing errors. Pius is not an agreeable man but someone who has a lot of political connections and so a lot of potential enemies. However, nobody is too obvious so Agrolicus must talk to a lot of people. 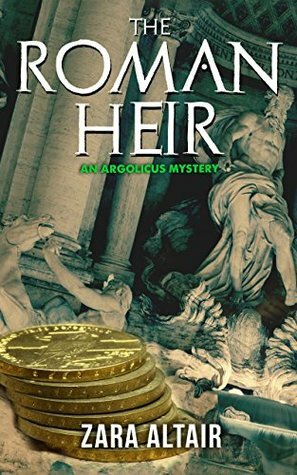 I enjoyed the story which brings Rome under Ostrogoth rule to life. Altair has a Kickstarter project to fund a novel length Agrolicus mystery. A stand-alone mystery book with some science fiction elements. This was part of a Storybundle which I bought in 2015. 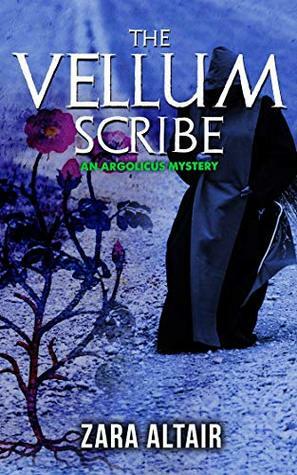 This is a mystery book with some thriller elements. It starts with a group of mysterious people spying on special forces captain Hawkins when he and his wife are in a car accident. We don’t see an explanation for that until the end. The book starts with a couple of disparate things, such as Vredefort Dome in South Africa. It’s the largest gold mine in the world but abuses the workers. Some of them have chosen to fight back and one man brings a nuclear bomb into the mine. It detonates, destroying the mine. In Australia, a deep space communications center observes strange transmissions seemingly coming from Ayers Rock. Hawkins, who a major now, leads a group of US soldiers in a secret mission to take out a drug lord in Colombia. He’s looking for a nuclear bomb but the drug lord doesn’t know anything about it. Then he’s ordered to Australia. US government gathers together a group of different individuals: major Hawkins, geologist Don Batson, physicist Debra Levy, and Francine Volkers who uses statistical projection to, essentially, predict the future. They’re all brought to Australia where the US government has started drilling into Ayers Rock which is a holy place to the ingenious people there. 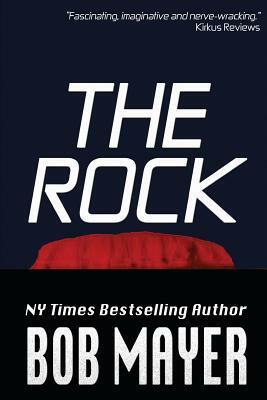 A transmission from the rock named the four people. Unfortunately, nobody knows why. The story weaves together some of the mysterious places on Earth, such as Tunguska in Siberia, Ayers Rock, and Arizona Meteor Crater. The characters have so wild theories about them, apparently from real-life conspiracy theories. It’s part military action/adventure, part supernatural conspiracy mystery story. X-Files seems to have been a large inspiration, along with real-life conspiracy theories. Batson is a middle-aged man with a drinking problem. He’s considered very good at his job, so good that he’s part of the US government group of experts. Levy is only 23; she’s child prodigy who has difficulty relating to other people. Volkers’ predictions produce quite bleak results for humanity, so she’s gone through a depression and a nervous breakdown. Hawkins is a career military officer whose wife is a coma. However, they manage to work together, most of the time at least. Hawkins in the major POV character and he’s the only one we really get to know. The first book in a contemporary mystery series. Connor Westphal moved recently to a small town called Flat Skunk. Her grandparents had a diner there and she decided to change her life and move there, after their deaths. Connor became deaf when she was four years old and while the world around her, especially the school for hearing which she attended, tried to box her in, she made her own way and became a journalist. Now, she runs the town’s weekly newspaper Eureka! She employs the sheriff’s young son Miah part-time. Miah learned sign language so he sometimes interpreters for her and also answers the phone and does other errands. The former mayor’s widow Lacy wants Connor to run an ad on the paper about her missing sister. Lacy doesn’t want the ad to be traced back to her and acts pretty mysterious otherwise, too. 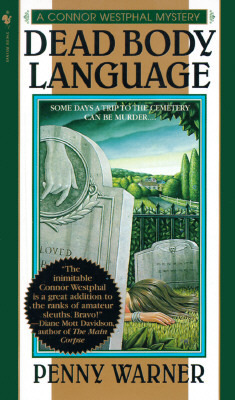 However, the next morning Lacy is found dead on her husband’s grave. Also, the local private investigator Boone has gone missing and his supposed half-brother Dan has suddenly appeared. Connor loves mysteries (she writes a murder mystery puzzle for her paper every week) and she starts to investigate. 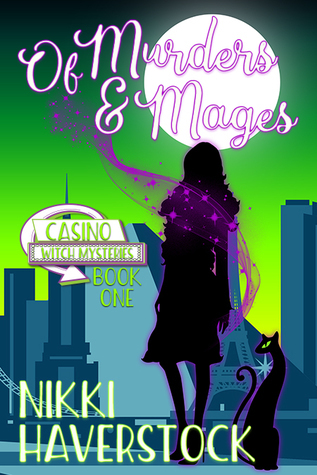 This is a fast-paced mystery with quite a large, small town cast of characters. It has plenty of turns and twists and kept me guessing almost to the end. Connor is a very interesting main character. She’s learned to lipread but has to, of course, see the lips clearly to do that. For the most part, she reads lips so accurately that the dialog isn’t any different from any other book. No doubt this is a stylistic issue because otherwise readers would have quickly become frustrated with dialog where Connor is guessing half the words and often asking “what did you say”. Of course, she can’t hear other noises, like the phone ringing. She’s very determined and uses underhanded tactics to interview people. She even has printed out fake business cards and easily clams to be an insurance agent, for example. She used to be a journalist in San Francisco. She’s on very good terms with the local sheriff and almost-dating the deputy and she isn’t shy to pump every bit of info she can from them. The cast of characters, and therefore the pool of suspects, is quite large so we don’t get to know most of them. Dan, the missing investigator’s half-brother, is probably the most significant of them. He’s handsome and immediately likes Connor. He appears mysteriously right when his brother goes missing and Boone has never mentioned him, so Dan is a suspect, but he also investigates along with Connor. The only thing which really bothered me was the way Connor treated her dog. She has a husky whom she’s taught to answer to signs, but she never takes it with her: it’s alone all day and Conner just feeds it. In fact, she treats it like a cat, even though she claims not to like cats. Since she’s her own boss, she could have easily taken the dog to work with her. I enjoyed learning a little about the deaf. Connor has a touchtype phone which she uses to type calls but the other person needs to have one, too, otherwise it doesn’t work. People also throw things near her or at her to get her attention which I think is rather rude but she herself confesses that she hasn’t thought of a better way. A quick read and a nice mystery with a lot of twists.